kartik kannan's space on the web: A little bit of Chinnaswamy! A little bit of Chinnaswamy! 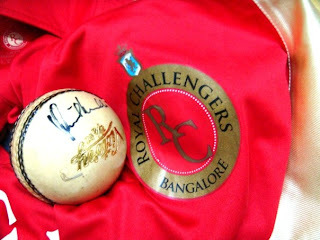 Got a KSCA white cricket ball autographed by Anil Kumble, the RCB T shirt and a bit of grass from the stadium as mementos. Felt good, met like minded individuals and made new friends. 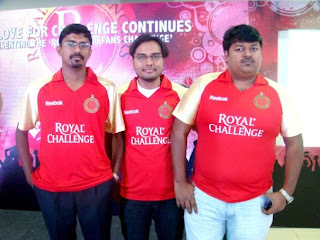 It was a good day out, being a prospective blogger for RCB! The better guys won! The Souvenier from the Royal Challengers Banglore!